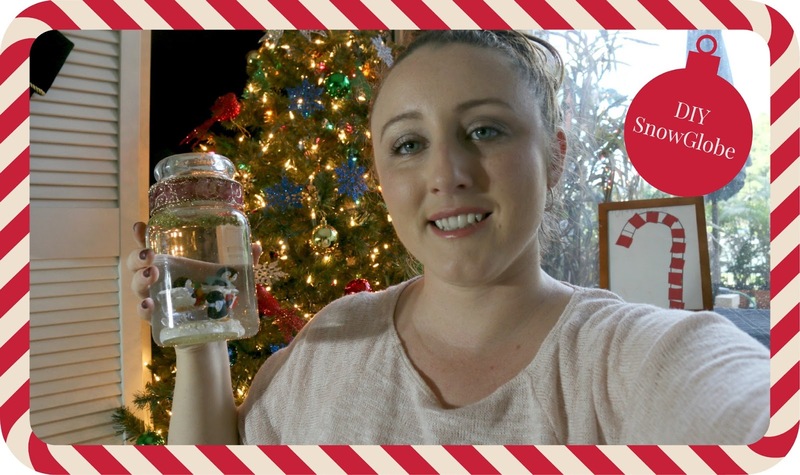 As Christmas is truly my favorite time of year its only fitting I have a Christmas Snow globe DIY, for this you will need a jar with a lid, I’m using a Yankee Candle jar but you can use a mason jar, a jam jar, any kind of jar that has a lid. The you need a glue gun, cloth ribbon, Glitter, and a Christmas Tree Ornament. The first thing your going to do is glue the ornament to the bottom of your jar, if you would prefer to have your jar lid side down then glue the ornament to the inside of the lid. Then allow the glue to set up 15-20 minutes. Then add your glitter, remember a little goes a long way. Then add in your water, try to fill your jar as full as possible, then on the inside of the lid cover the threaded seam area with hot glue and close your jar. After it has had a minute or two to set up glue the outside seam where the lid meets the jar. Then using your cloth ribbon go around the lid so you can no longer see the seam. And then your done shake your snow globe and enjoy. This is such a fun project to do with kids, as well s can be quite cheap if you buy all of your supplies from your local Dollar Store. Here is the full video, and be sure to Instagram, tweet, or Facebook me your pictures.